For more than two centuries paper was the main method used by businesses managers to communicate with workers. Schedules, work orders, reports, certificates and guides have all been handled by printing information out and physically distributing copies across a workforce. And this approach is still being used by many of today’s mobile service companies. If you’re one of these organisations - this guide is for you. With a range of digital alternatives now available, all companies that deliver field services need to reevaluate the efficiency and costs of paper-based management. Why should your organisation consider switching to a digital solution? Paper has been the primary method used for communication since the emergence of modern business structures during the C17th. As trading companies, such as the Dutch East India Company, began to become more sophisticated, paper-based systems were introduced to enable the management and scheduling of remote employees. This paperwork approach became the default form of business communication for the next 250 years. Today, it’s estimated that 80 percent of all business information is still stored in a paper format. But the dominance of paperwork has ended. The development of cloud-based digital systems and real-time data communications has transformed the way that mobile service companies are able to operate. It allows for paperless operations with instant communications, automated processes and the management ability to track and monitor the movement of each fieldworker. What are the problems with a paper-based approach? The main reason field service companies are moving from paper-based to digital management methods is cost. The bottom-line is that it costs companies less to deliver a better service. Typically, a field service operation will require at least one job-sheet to be printed out for each scheduled task. On top of this, there are multiple forms, documents, worksheets, certificates, plans and diagrams that may be needed for a particular job. The costs incurred aren’t just for the paper itself, it’s for the whole infrastructure that’s required to handle printed information - postage, stationary, printers, photocopiers and ink cartridges. And the more information that’s printed, the more space a company requires to securely store all of this information. This includes the administrative time and resources required to manually handle large amounts of paperwork. Any reliance on paper is liable to increase the amount of travel that’s required for mobile workers. To access job information, employees will typically have to pick up paperwork from an office or depot. And once a job’s finished, they need to drop off any information that has been collected during the day. When you multiply these journeys across an organisation and throughout the year, you have significant additional costs that can be avoided when using digital forms of business communication. A study by the McKinsey Global Institute (MGI) in 2012 found that switching to digital management will typically increases mobile workforce productivity by between 20-25 percent. This boost is provided by the inherent speed and efficiency benefits of digital communications when compared with a traditional paper approach. In management terms, it’s the difference between having to handwrite and post a letter, compared to firing off an email. This inefficiency is caused by the need to manually process information, with paperwork having to be physically ‘shuffled’ across an organisation. The nature of field services makes this a particularly ineffective way of doing things. It’s a cost that’s not easy to quantify but is critically important for the competitiveness of any field services business…reputation. It’s the trust that your customers and clients have in your ability to deliver what you promise. It’s something that’s extremely hard to build and all too easy to lose. In an increasingly digitally connected world, people now expect the kind of convenience speed and efficiency that have been made possible by digital communications. It’s a standard that a paper-based management setup will always struggle to meet. A paper-based approach means slower processes, more administrative resources and higher risk of inefficiency - documents lost, handwritten notes being misread and paperwork incomplete. With the viral power of social media, negative feedback, poor ratings and angry comments can have a devastating impact on a company’s reputation. A major risk faced by all field service businesses is non-compliance. Services need to be fast and efficient but this cannot come at the cost of safety or adherence to laws and regulations. 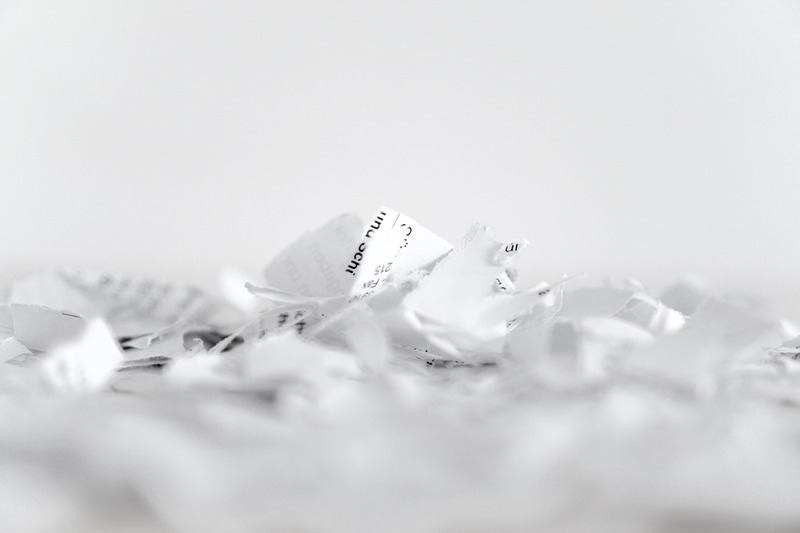 Compliance is a challenging area to control when paper-based management methods are being used. There’s a dangerous tendency for compliance measures to be viewed as being needless paperwork chores. It’s an area where digital management methods have a major advantage - allowing checks and notifications to be automatically integrated into the everyday workflow. These benefits help to minimise risks and can boost an organisation’s competitiveness when tendering for contracts. When all these factors are taken into consideration, it’s estimated that a switch to digital management methods saves around £5 per job for a mobile working operation. For a medium-sized field service business, delivering around 50 services each day, this would deliver annual savings of £62,500. What are practical benefits of a paperless approach? The benefits of switching away from paper-based management are experienced throughout a field service business - from management and workers to customers and clients. The combination of cloud-based systems and GPS technology enables a manager to track, monitor and communicate a team of mobile workers in ways that are not possible with a traditional approach. Access to real-time data provides the kind of operational overview that’s required for reliable and efficient services. It removes the information lag that’s caused by paperwork - with information having to be manually collected, collated and stored. A paperless approach minimises the amount of time that fieldworkers spend doing administrative tasks. All of the information they need can be supplied via a tablet or smartphone - if details change, they know about them instantly. With automated processes, job related data is automatically collected and instantly made accessible to managers and administrators. It lets those out on-the-road focus on the job and not on paperwork. A paperless operation allows businesses to provide the level of service that’s now expected in a digitally connected world. That means accurate delivery times, real-time order tracking and the use of digital signatures for authentication. With access to real-time data, customer support teams are also able to respond to any issues or complaints with accurate and up-to-date information. They are also able to track customer approval with the use of integrated feedback ratings. Is your business thinking of making the switch to digital management? MyMobileWorkers is helping field service companies throughout the UK to gain all the benefits of faster, simpler and more effective ways of managing a mobile workforce.